A range of hilts created for my own figures , cast in pewter by me. I keep a small stock of most of these , but availability is limited . 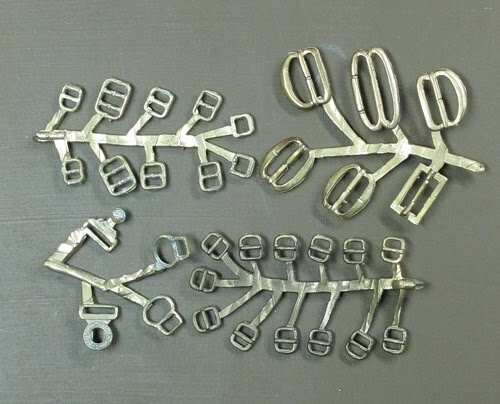 As with the badges , I am always willing to consider commissions , if the object is suitable for casting . All of these will require polishing , and some will need assembly : what you see is what you get. Prices around £2 or £3 depending on type. The Tower sword is one of the " pattern " types used during the ECW. 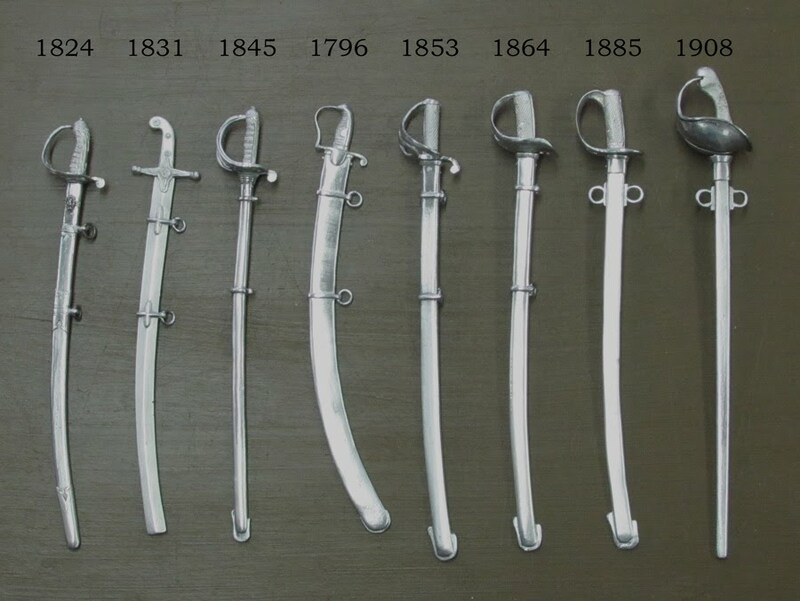 The Russian Tesak is an Infantry sword of the type used by Russian and Prussian18/19C. infantry , as is the Austrian grenadier type. The others are types from the 17C. Powder flasks from the 17C. 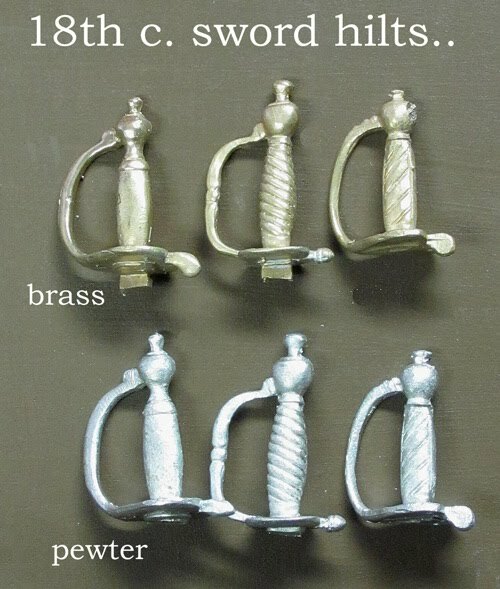 The brass versions are £5 each, the pewter £3 . These have to be cast and cleaned up to Order only , I don't carry stock. Price negotiable depending on how much work you require. 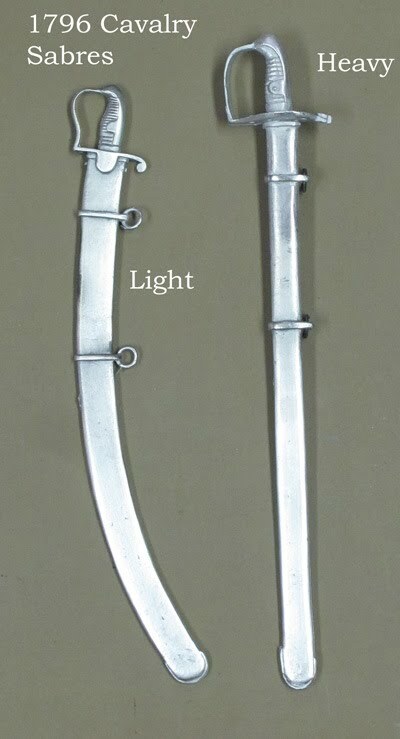 You could add the 1821 Light and Heavy cavalry hilts as used in the Crimea . As used from the 1850s to the present . 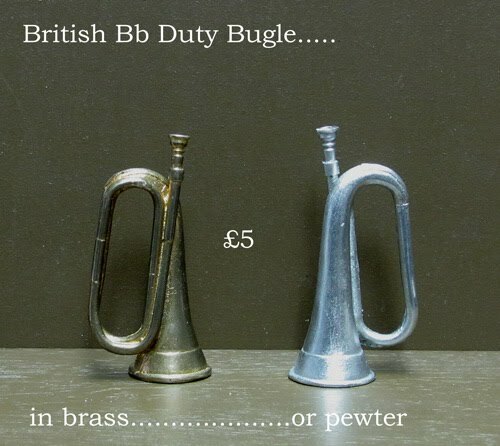 I also have the Eb cavalry trumpet in brass or silver . £5 . 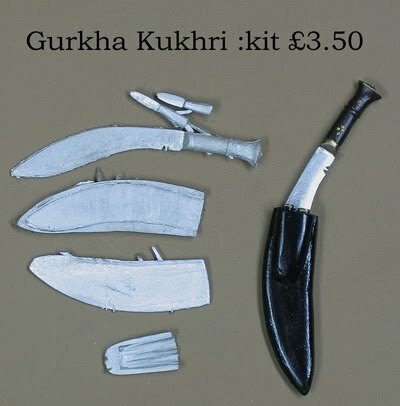 KUKHRI KIT :~ and accurate kit for making a traditional Gurkha Kukhri , in pewter . 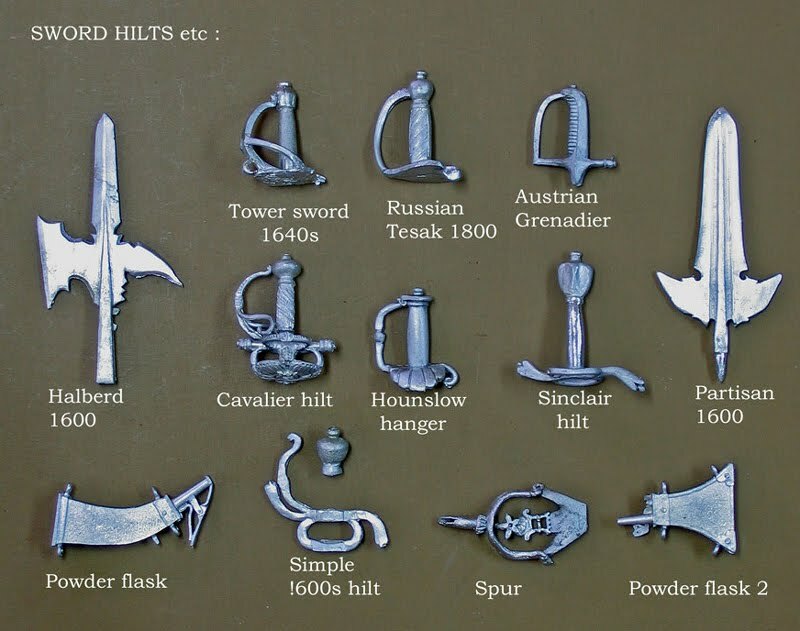 several British Infantry equipment sets . Please ask for stock levels and prices : the complete sets are around £15 , because they are unfortunately rather expensive to get made. ALL PRICES EXCLUSIVE OF POSTAGE.